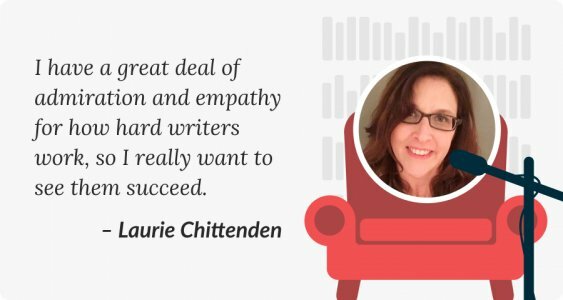 Laurie Chittenden is a freelance editor who has worked in-house at a number of major publishers over the past 20 years. Since she joined Reedsy six months ago, she has collaborated with 17 authors; helping them to develop flawless plot lines and bring their characters to life. In this interview, she spoke to us about her transition to freelance book editing and what made her take the leap. Hi Laurie, tell us a bit about yourself. If we count my years as a bookseller, I’ve been working with authors and books for over twenty-five years. I spent twenty of those years as an acquisitions editor at the big NYC trade houses — S & S, Penguin Random House, HarperCollins, and St. Martin’s Press — where I was charged with finding and developing the sort of fiction and nonfiction you’d see on the New York Times bestseller list. Over the years I’ve worked with Pulitzer Prize finalists, number one New York Times bestsellers, Hollywood celebrities, governors, first ladies, legendary musicians, sports figures, business leaders and thought-changers. For the last five months, I have been freelancing and feel quite settled with it now. Was there a catalyst that pushed your decision to go freelance, or was it a gradual decision? Basically, I finally realized I could work with incredible, creative people anywhere and it didn’t have to be in an office. I’d thought about working for myself for a very long time, but I suppose I was terrified by the idea that it would be uncertain. I’ve found that’s not true though, because of changes in the industry and technology more writers are choosing to self-publish than ever before and they all need talented people to help them. "I realized I could work with incredible, creative people and it didn’t have to be in an office"
What differences are there for you as a freelance editor compared to when you were in-house? As an in-house editor, I did have a lot of autonomy to take on and develop projects that interested me and I had to work to a strict schedule and juggle a lot of balls. All of this is the same as a freelancer. However, as a freelancer, I create the schedule I work on and I get to work on projects I never would have been allowed to acquire as an in-house editor. If I want to spend more time helping an author with their writing, separate from the book, (something I enjoyed doing as an adjunct professor at NYU teaching editing), then I can. I do still work like I’m in an office — answering emails and phone calls — but I get to do it with my cat on my lap. Having the freedom to decide what my working hours are, and when they happen, means I can save so much time. I can set myself up for a fully productive day, both professionally and personally. Often, I’ll run errands like grocery shopping during the day, so I’m not stuck in long check-out lines and I’ll take time to go for a bike ride while the path isn’t crowded. Cutting out all the time spent in lines and commuting results in a much more efficient, relaxing and productive day. Where did your first freelance clients come from? Are those same channels still helpful now? Clients really can come from anywhere. In the past, I’ve worked with writers sent to me from agents, publishers, other authors or freelancers, friends and so on, but technology has been a serious game changer. Now I find most of my clients through online sources that make the process incredibly convenient and easy. I’ve discovered the caliber of writers on sites like Reedsy is very high and a lot of authors are using the site as well, so it provides steady work for me. How did you decide on pricing for your own editing? Word count: This is the first thing I look at after “is it a project that appeals to me.” The word count gives me a ballpark when it comes to the range of the fee. I suggest using word count over page count since font, type size, margins, line spacing and page breaks can all cause page count to vary from one manuscript to another. Condition: Will it involve a great deal of rewriting, line editing, fact-checking, big picture development or all of the above? If two books are 80,000 words, but one writer would like a general assessment while the other would like a deep dive involving line editing, fact-checking, pointing out and providing solutions to bigger issues, the deep dive is going to come with a higher fee than a simple assessment. Timing: How fast the client needs feedback can also impact the fee. If it is a rush job, the fee will be higher. Does your heart ever overtake your head on certain books? Yes. Absolutely, yes! One of life’s great lessons is learning how to say “no”. When you work for yourself the saying “time is money” is very true, but because I work on projects that I find compelling and work closely with, really getting to know the writers, I find I’ll often work with them beyond the official completion date. I have a great deal of admiration and empathy for how hard writers work, so I really want to see them succeed. If there’s more I can do to help them, I will. I suppose if I always used my head over my heart, I’d have made more money and I’d be doing this interview from my private island! What is your standard process when a client approaches you? One of the first people I worked for told me there were two publishing philosophies: You could publish a few big books, or a lot of smaller books to make your numbers. I’ve brought that advice to my life as a freelancer. I'm a close reader who questions each word, sentence, passage, and chapter — often re-reading as I go. I pay a lot of attention to each manuscript, so I do not work on multiple projects at the same time. This means, that for me, taking on fewer projects requires carefully selecting what I work on and valuing my services. When I’m selecting projects, I look for those that will interest me, I feel have potential, and are basically well written by an author who seems entirely committed. If I spread myself too thin, I find I don’t enjoy the work as much, and the author will feel that, so I try to avoid it. Freelance editing advice: "Publish a few big books — or a lot of small ones to make your numbers." Expecting people to pay invoices on time. If you are someone who pays their bills on-time, it will be a bit of surprise to discover how many people do not. For me, tracking down money from other people is the last thing I want to do. It takes time away from work I could be doing to bring in income, and it’s just exhausting. This is why I like finding projects through Reedsy. They handle all the payments and provide invoices too, so I don’t have to manage this process. That gives me the ability to focus on what I want to be doing, editing and working with authors. Tracking down money is the last thing I want to do, which is why I like Reedsy for finding freelance projects. If you could give one piece of advice to those thinking about taking the leap, what would it be? Draw up a budget so you know what your target income is for each month. One of the reasons freelancing isn’t for everyone is that it does not provide a paycheck for the same amount every two weeks like working in-house. You can, of course, find steady work as a freelancer, but you are unlikely to get paid on a predictable schedule or with the same amount of money each month. That means, unless you have an off-shore bank account to fall back on, you have to pay attention to your income and expenses in a way you probably didn’t have to in the past. When thinking about your move to freelancing, look at your budget weigh your cost of living against how much work you need to do each week or month to bring in the income you’d like. Can you cover your cost of living while still having the work-life balance you want? "My #1 tip for editors thinking of freelancing: draw up a budget with a monthly income target." Would you ever return to in-house editing? When I left college for New York I said I’d never be able to live in the city for more than two years. Well that was 1993 and I’m still here, so I’ve learned to never say never! But right now, I’m incredibly happy listening to the songbirds out my New York City window while I work. What book/s you are working on at the moment? I’ve just completed work on a memoir by a television writer for a major network series. She writes about her childhood in Hollywood and her decision to join the Army. It’s a terrific book about a woman who, in her thirties, decides to confront her demons by going to basic training. Right now, I’m working on an extremely entertaining novel set in the New York City art world — and after that, I’ll dive into a novel set during WWII that’s based on the author’s own family history. I try my best to mix up what I’m working on so I’m not going from memoir to memoir or historical fiction to historical fiction. It’s one of my tricks to stay fresh and excited for each new project, and also something I was not so free to do when in-house. Looking for more tips and guides for freelance publishing professionals? Head to the Reedsy Freelancer Blog. 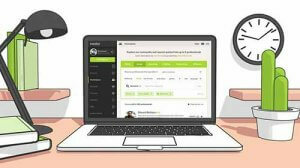 Sign up to Reedsy, create your freelancer profile, and start getting more work!